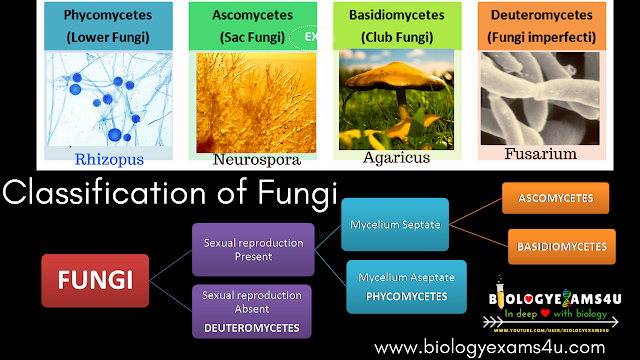 The kingdom fungi includes different types of eukaryotic and heterotrophic organisms. It includes yeast, moulds, mushrooms, puff balls, rust, bracket fungi, mildews. 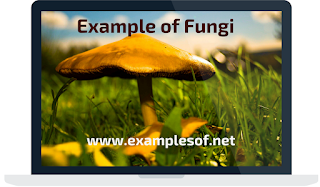 Habit and Habitat: Fungi are found in all habitats where organic matter is present. Many of them are terrestrial and prefer to grow in moist habitat with dim light or darkness. Some are parasites lining in the tissues of higher organisms causing various diseases like rusts, smuts, mildews, rots, wilts etc. Structure: The body of the fungus is called mycelium. The vegetative body is filamentous structure (Hyphae) which grows within the substratum .Yeast have unicellular body. b) Asexual : by the formation of a special type of reproductive cells called the spores. Various types of spores are the Zoospores, Sporangiospores, Chamydospores, and Conidia. · Chlamydospore: Thick-walled spore formed within a hyphal segment (sporangia). Sexually reproduction in fungi are grouped into two types, namely homothallic and Heterothallic. In Homothallic fungi fusion occurs between two gametes arising from the same mycelium (This type of mycelia are called monoecious or bisexual). In heterothallic fungi two gametes are arising from different mycelia (This type of mycelia are called dioecious or unisexual). Sexual reproduction also leads to the formation of spores.